Today, I’d like to welcome TD McKinnon to the hot seat as my guest on the Thursday Throng. 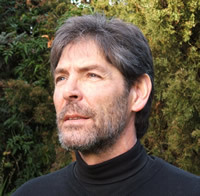 TD is a Scot now living in Tasmania and is the author of Terra Nullius; he has kindly offered a copy of the eBook version of Terra Nullius to one lucky commenter – all you have to do to be in with a chance of winning is leave a comment at the end of this post. I read Terra Nullius in a little over two nights and it made compelling reading; I was both enthralled and enraged by the story. The title Terra Nullius explains the whole – it is a term used for centuries to condone the expansion into what was a little known world and it means ‘No One’s Land. What TD has done is to take a small number of known historical facts about the systematic genocide of an ancient race by the colonialists of the 19thC and weave them into a fantastic piece of fiction that looks at that time from the perspective of the indigenous population. There were times when I found the story hard to bear because it was so graphic in its description of what it could have been like; my heart broke for the people who had been used and abused so cruelly. And yet, at the end of the telling, I feel enriched because of having my world view challenged and my emotions expanded. A clear snapshot in time, I’ve never forgotten that moment all those years ago, or those words of encouragement; all my life that memory has been a source of nourishment and inspiration, it sustains me still. From that moment on I considered myself a writer; it was a singularly life defining moment, and the most important thing I learned at school was the fact that I am a writer’. Many things, and some people, trigger my inspiration but ultimately, and usually waking me in the middle of the night, my inspiration comes from within. “Never give up, never give in.” Winston Churchill. “Success, like happiness, is a state of mind.” Unknown origin. The names of my characters are important to me because the characters themselves tell me their names; and when they do, I can no more change them than change my own. 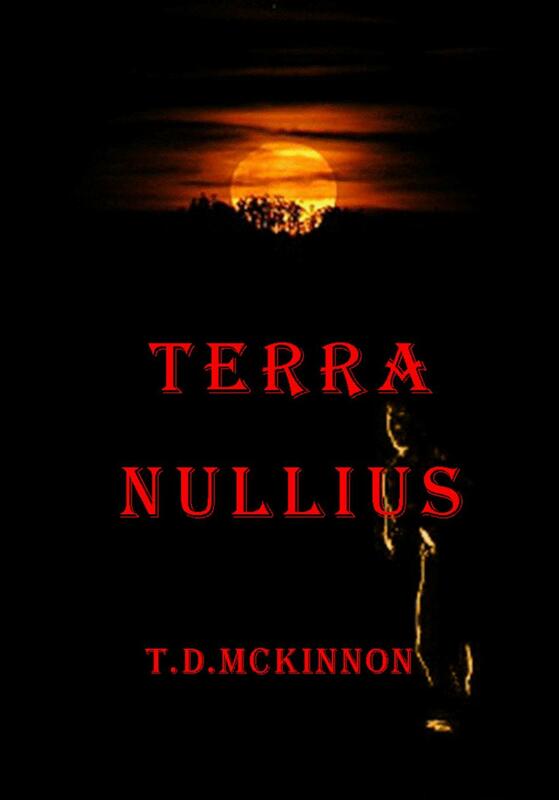 If I have tempted you enough with my short review, and you have found TD to be as interesting as I have, then you may want to enter our giveaway to get a free copy of the eBook version of Terra Nullius. All you need to do is leave a comment on the post below, the winner will be drawn in just over a week. Good luck everyone. If you would like to get a copy of Terra Nullius then you can it on Amazon in the UK and on Amazon in the US too. You can find my reviews of Terra Nullius on Amazon in the US, the UK and on Goodreads too. Thanks for another interesting interview. It sounds like a fascinating book and like you say Linda a story that I have never heard told. I would love to win a copy of the book. Thanks for dropping by. Hope you’re the lucky one; I’m sure you’ll enjoy reading Terra Nullius. Thanks for dropping by, Anne, I hope you’re the lucky one. I know you’ll enjoy Terra Nullius. This sounds fascinating! I am a little obsessed with Tasmania at the moment as my g-grandfather was born there in 1843… so this book is definitely on my list! I’m just going to Good Reads now to look at your review. Thanks for dropping in, Lois. Your great-grandfather would have been born right in the middle of the time period Terra Nullius covers. I hope it’s not too shocking for you. That makes it sound even more intriguing! I doubt I’ll be shocked… but I’ll let you know on that! Thanks very much, Linda, for the excellent interveiw and book review. I’ve been trying to post this since the review went to air; I managed to get through at last. I have read your book ‘Surviving the Battleground of Childhood’ and I couldn’t put it down until it was finished. I have always wanted to read more of your books but haven’t got round to getting them. Terra Nullius sounds interesting. Maybe this will be my next read. Thank you for taking the time to drop by, Anne. I’m sure this is another one you won’t want to put down. I enjoy historic fiction, especially when I can learn something new! Count me in. Thanks for dropping in, Christine. You will I’m sure learn something new. That’s why I love historical fiction too. And after using Random.Org to select … the winner is … Anne Zadro. Well done Anne and a copy of Terra Nullius will be winging it’s way to you very shortly.